Giovanni Cosmetics Hair - 50:50 Balanced Conditioner - 8.5 fl. oz (250. 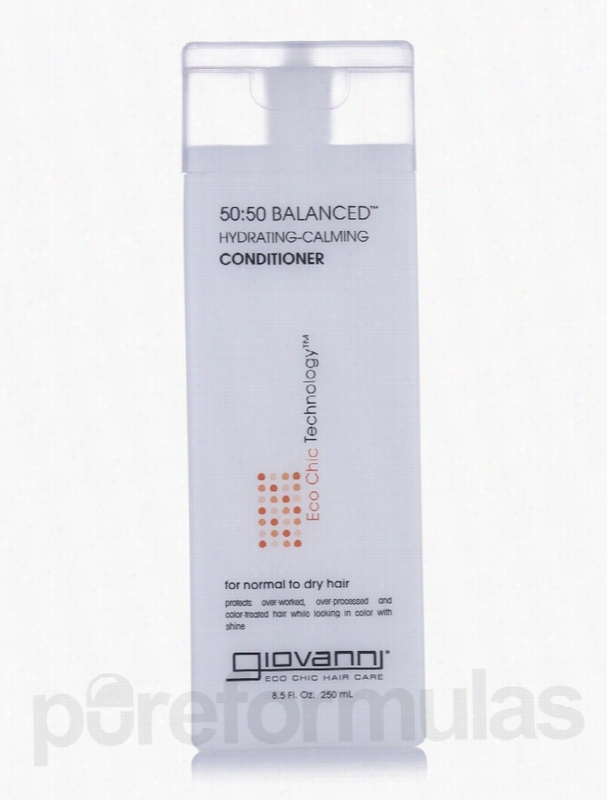 50:50 Balanced&trade; Hydrating-Calming Conditioner for normal to dry hair 8.5 fl. oz from Giovanni&reg; Cosmetics may help infuse moisture and shine to dull hair. This conditioner is formulated with a blend of organic ingredients which may add hydration to dry hair and scalp. Aloe vera juice&sbquo; cetyl and stearyl alcohol&sbquo; and glycerin may help add moisture to your hair. The presence of citric acid and sunflower oil may rejuvenate your hair and make it appear hydrated. Soybean and Betula Alba may impart proteins needed for your hair strands and appears to make them appear shiny. Mallow extracts in the conditioner from Giovanni&reg; Cosmetics could potentially have anti-inflammatory properties and may keep away dry scalp conditions and infections. Hydrating botanicals like chamomile and rosemary&sbquo; along with nettle leaf extracts may nourish condition your hair from deep within. Lavender extracts smell good and may help soothe irritated scalp conditions. With all these organic ingredients in place&sbquo; the 50:50 Balanced&trade; Hydrating-Calming Conditioner for normal to dry hair 8.5 fl. 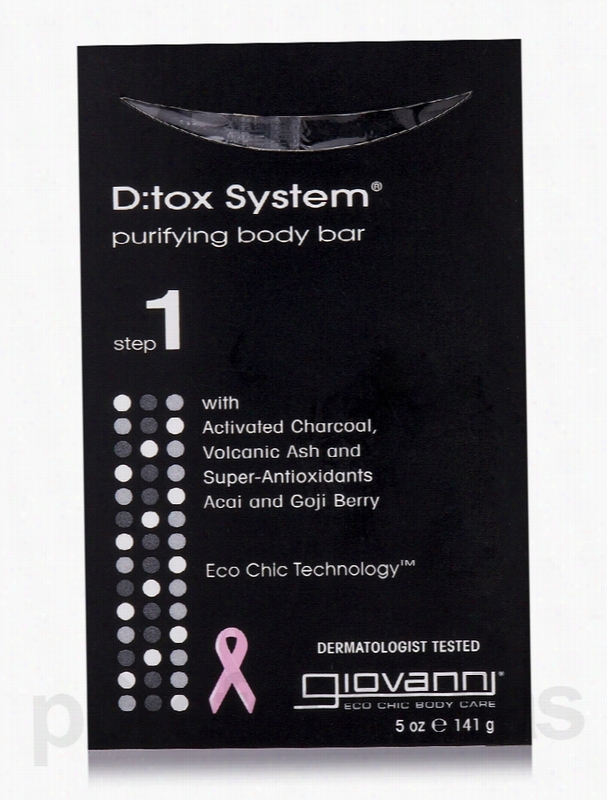 oz from Giovanni&reg; Cosmetics may help maintain proper pH balance in your scalp. These statements have not been evaluated by the Food and Drug Administration (FDA). These products are not meant to diagnoseÃ¢ÂÂ treat or cure any disease or medical condition. Please consult your doctor before starting any exercise or nutritional supplement program or before using these or any product during pregnancy or if you have a serious medical condition. 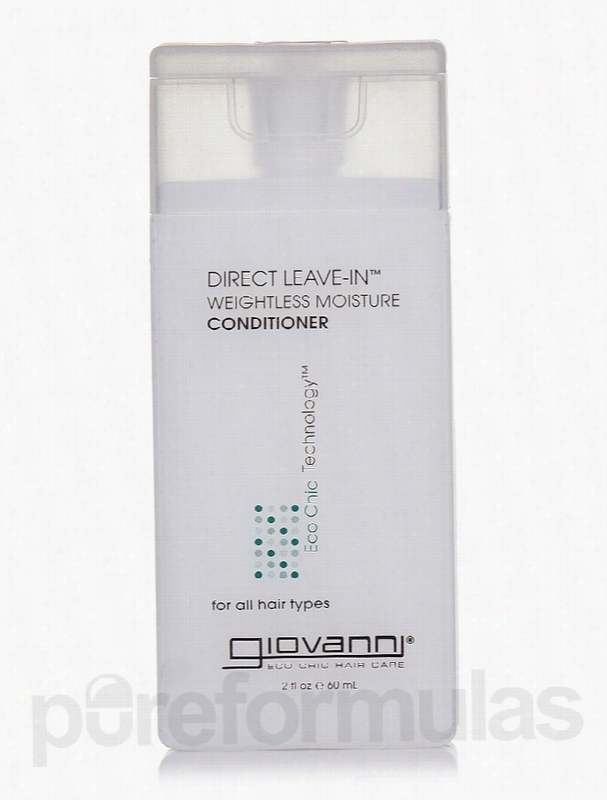 Giovanni Cosmetics Hair - Direct Leave-In Weightless Moisture. Give your locks the nourishing benefits of botanicals in Direct Leave-In Weightless Moisture Conditioner from Giovanni&reg; Cosmetics. Vitamin E and panthenol (Pro-vitamin B5) have moisturizing benefits that may contribute to the hyrdration of your hair. Grapefruit extract may boost hair Health and adds vitality and bounce to the individual strands. It may work as a deodorizer too&sbquo; so that your hair smells fresh. Aloe vera leaf extract and sunflower seed oil in this conditioner from Giovanni&reg; Cosmetics may hydrate hair and lock in moisture to potentially eliminate frizzy and unmanageable hair. Betula alba&sbquo; or birch extract&sbquo; may purify the scalp and work as an astringent. It may also help reduce hair loss and dandruff. Soybean seed extract could provide nourishment to hair so that your mane feels soft&sbquo; shiny and healthy by moisturizing the hair and scalp&sbquo; to the roots and ends. Lavender extract in Direct Leave-In Weightless Moisture Conditioner from Giovanni&reg; Cosmetics helps hydrate scalp and control dandruff. These statements have not been evaluated by the Food and Drug Administration (FDA). These products are not meant to diagnoseÃ¢ÂÂ treat or cure any disease or medical condition. Please consult your doctor before starting any exercise or nutritional supplement program or before using these or any product during pregnancy or if you have a serious medical condition. Giovanni Cosmetics Hair - 2chic Brazilian Keratin & Argan Oil. 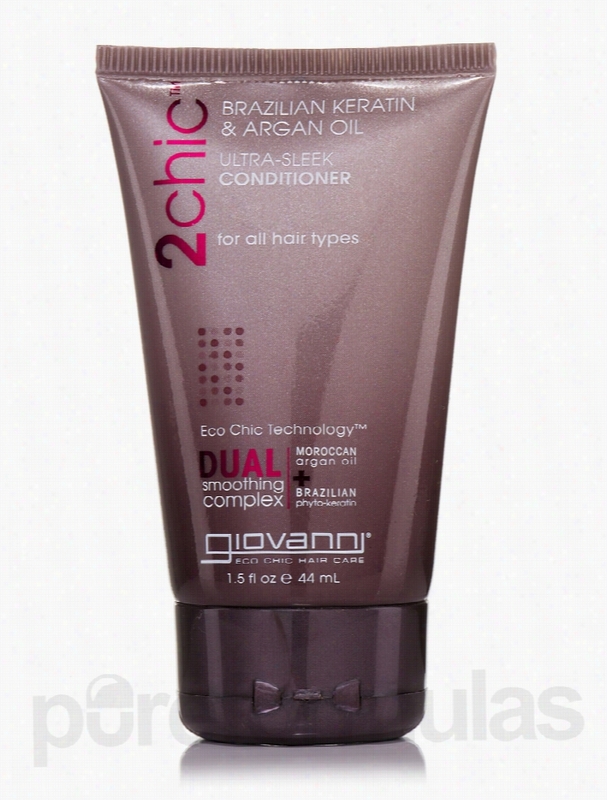 You may use 2chic&trade; Brazilian Keratin &amp; Argan Oil Ultra-Sleek Conditioner for all hair types from Giovanni&reg; Cosmetics when you want to make your hair manageable and smooth. Glycerin and its extracts may moisturize your tresses intensely&sbquo; and impart shine to your hair. Brazilian phyto-keratin extracts and Moroccan argan oil could detangle hair effortlessly. It may manage your tresses more manageable and sleek to handle. You might feel the smoothness in every strand of your hair. Argan oil may also tame fly-away hairs. With nourishing qualities&sbquo; jojoba oil&sbquo; Aloe vera juice&sbquo; coconut oil and shea butter extracts may enrich the protein content in your hair. They may also strengthen your tresses. 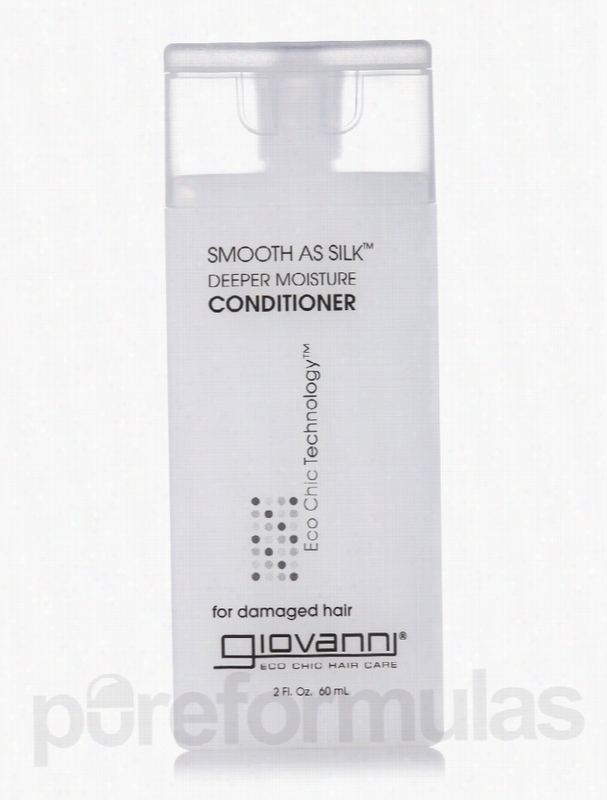 The ingredients in this conditioner from Giovanni&reg; Cosmetics might promote an even and smooth texture on hair. Macadamia seed extracts may improve blood circulation to your hair shaft and make it stronger naturally. You could buy 2chic&trade; Brazilian Keratin &amp; Argan Oil Ultra-Sleek Conditioner from Giovanni&reg; Cosmetics for best hair conditioning results. These statements have not been evaluated by the Food and Drug Administration (FDA). These products are not meant to diagnoseÃ¢ÂÂ treat or cure any disease or medical condition. Please consult your doctor before starting any exercise or nutritional supplement program or before using these or any product during pregnancy or if you have a serious medical condition. Giovanni Cosmetics Hair - Nutrafix Hair Reconstructor - 6.8 fl. oz. Nutrafix&trade; Hair Reconctructor from Giovanni&reg; Cosmetics is a vegetarian product that could rejuvenate your hair. This organic formula may repair broken hair&sbquo; add body&sbquo; and leave it feeling soft and healthy. Tocopherol in this supplement from Giovanni&reg; Cosmetics might boost blood flow and oxygen supply to your scalp. This might strengthen hair follicles&sbquo; reduce thinning and prevent hair loss. Sunflower seed Oil is rich in linoleic acid&sbquo; carotenoids and tocopherols. It may condition hair&sbquo; nourish it and prevent breakage. Linoleic acid might reduce thinning of hair. It may control frizz and make your hair more manageable. Mallow extract contains plant proteins that could detangle&sbquo; soften&sbquo; and add shine to your hair. It is also rich in flavonoids that may soothe hair. Matricaria flower extracts could revitalize hair and fortify the roots. They contain flavonoids and essential oils that may have anti-inflammatory and healing powers. Lavender oil might nourish and soothe the scalp&sbquo; leaving it soft and glossy. Rosemary leaf extract may quench free radicals and improve hair thickness and growth. 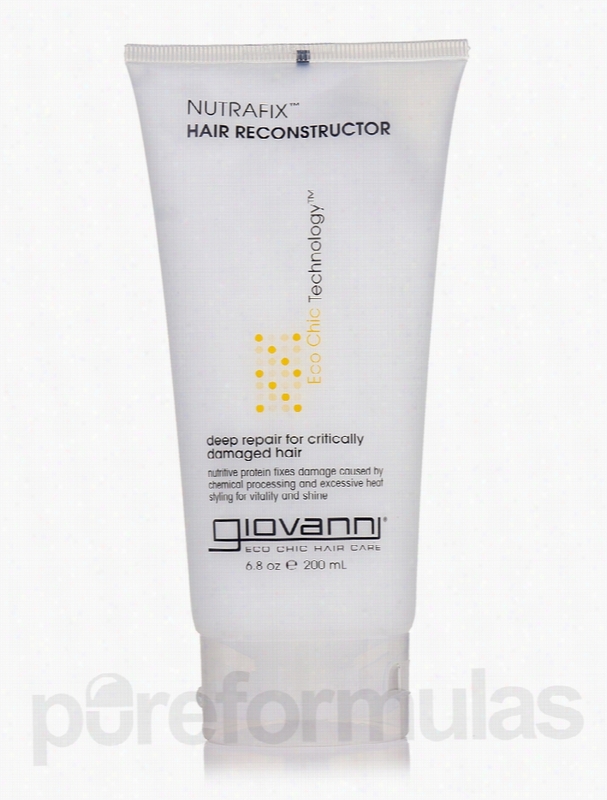 Enhance the health of your hair with Nutrafix&trade; Hair Reconstrutor from Giovanni&reg; Cosmetics. These statements have not been evaluated by the Food and Drug Administration (FDA). These products are not meant to diagnoseÃ¢ÂÂ treat or cure any disease or medical condition. Please consult your doctor before starting any exercise or nutritional supplement program or before using these or any product during pregnancy or if you have a serious medical condition. 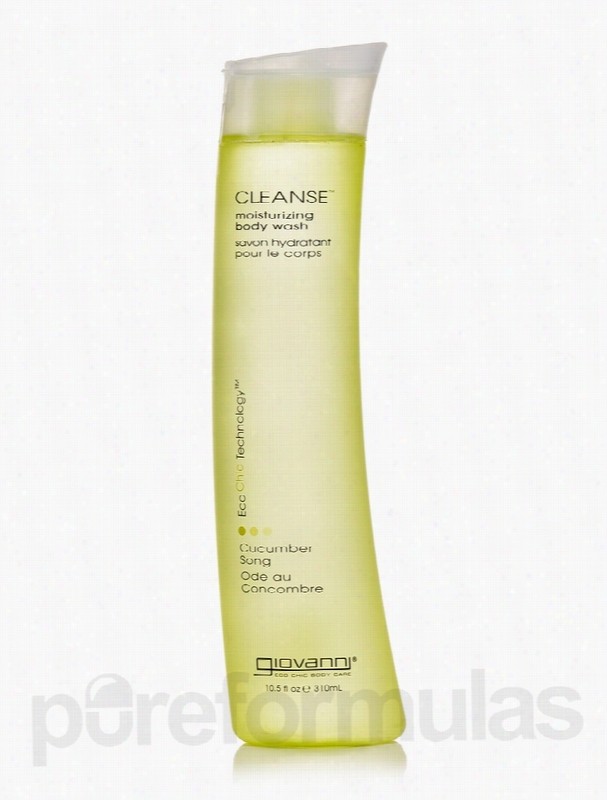 Giovanni Cosmetics Hair - 50:50 Balanced Shampoo - 8.5 fl. oz (250 ml). 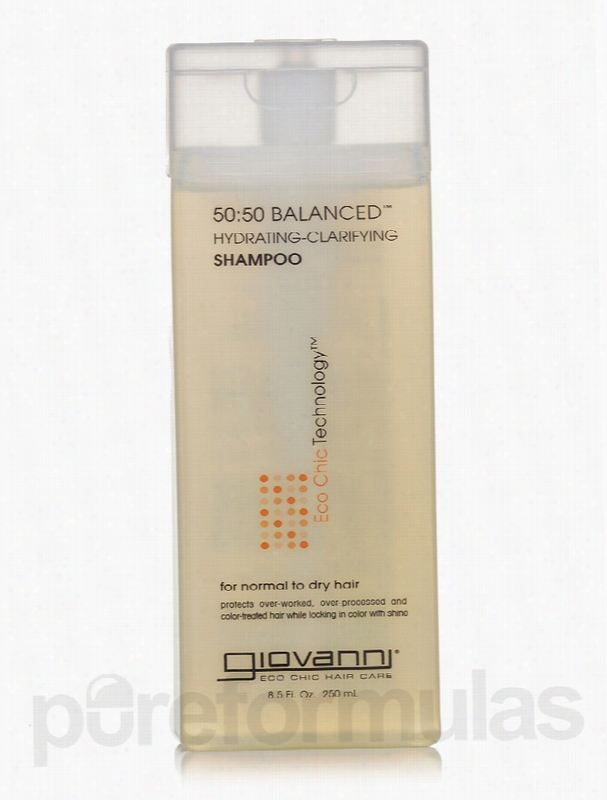 50:50 Balanced&trade; Hydrating-Clarifying Shampoo 8.5 fl. oz from Giovanni&reg; Cosmetics may help your hair and scalp draw in moisture. The hydrating-clarifying shampoo may give you a clean and balanced scalp. Aloe vera juice extracts in the shampoo might help hydrate and moisturize overexposed hair&sbquo; while sunflower seed oil may promote healthy hair growth. Soybean extracts might provide proteins to the hair shaft to make it appear healthy&sbquo; while Betula Alba may help enhance the hair protein content. Mallow extracts in the hydrating shampoo from Giovanni&reg; Cosmetics possess anti-inflammatory properties that may keep scalp infections at bay. Chamomile and rosemary&sbquo; along with nettle leaf extracts may promote hair growth and help strengthen the roots of your shaft. Lavender extracts might help calm the over exposed scalp. Clary extracts may help add softness and smoothness to dry and damaged hair. Thyme extracts may improve blood circulation to your hair roots. For a pH balanced scalp that is always clean and clear&sbquo; you may use 50:50 Balanced&trade; Hydrating-Clarifying Shampoo 8.5 fl. oz from Giovanni&reg; Cosmetics. These statements have not been evaluated by the Food and Drug Administration (FDA). These products are not meant to diagnoseÃ¢ÂÂ treat or cure any disease or medical condition. Please consult your doctor before starting any exercise or nutritional supplement program or before using these or any product during pregnancy or if you have a serious medical condition. 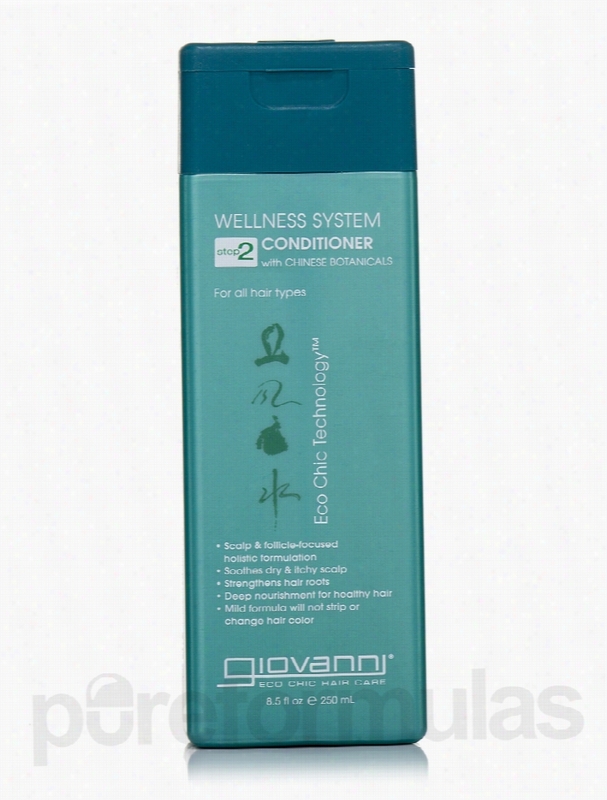 Giovanni Cosmetics Hair - Wellness System Conditioner with Chinese. Wellness System Conditioner with Chinese Botanicals for all hair types 8.5 fl. oz. from Giovanni&reg; Cosmetics may help condition and smoothen both your hair and scalp. Chinese herbs blended together with Eco Chic Technology&trade; in this conditioner may offer a one-stop solution to your hair&rsquo;s conditioning needs. An Mole may help infuse antioxidants into your scalp and keep it away from irritation and other infections. It may also improve your hair&rsquo;s elasticity. Hei Zhi Ma and Rehmaia Radix may calm down irritable and itchy scalp&sbquo; and Jia Ma Chi Xian appears to keep your hair roots stronger. It may prevent hair loss too. Along with strengthening your hair roots&sbquo; Mo Han Lian may help retain hair&rsquo;s natural color&sbquo; while Wu Huan Zi may bring on shine and gloss to your hair. The conditioner from Giovanni&reg; Cosmetics also contains Proanthocyanidins which may help mend your hair&rsquo;s texture and make it more manageable. For nourished scalp and hair&sbquo; you may buy the paraben-free Wellness System Conditioner with Chinese Botanicals for all hair types 8.5 fl. oz from Giovanni&reg; Cosmetics. These statements have not been evaluated by the Food and Drug Administration (FDA). These Products are not meant to diagnoseÃ¢ÂÂ treat or cure any disease or medical condition. Please consult your doctor before starting any exercise or nutritional supplement program or before using these or any product during pregnancy or if you have a serious medical condition. Giovanni Cosmetics Hair - Conditioner Smooth As Silk - 2 fl. oz (60. If you want to avoid frizzy and unruly hair&sbquo; you may want to try Smooth As Silk&trade; Deeper Moisture Conditioner from Giovanni&reg; Cosmetics. When you shampoo your hair&sbquo; conditioning it with deep moisture may manage your hair with ease. Glycol extracts may enrich keratin and make your hair more manageable with a sleek and soft body. Hydrolyzed soy proteins&sbquo; mango extracts and sea kelp extracts could nourish your hair deeply and detangle it effortlessly. It might also supplement shine to your mane. Lemongrass&sbquo; Ginkgo Biloba and rosemary extracts in this conditioner from Giovanni&reg; Cosmetics could protect your scalp from dryness and infections. Lavender oil may soothe your scalp. Willow bark might instill hair growth and strengthen hair from root to tip. With all these ingredients blended together in this deep moisturizing conditioner&sbquo; it could nourish dry and damaged hair. Get Smooth As Silk&trade; Deeper Moisture Conditioner from Giovanni&reg; Cosmetics and welcome renewed vigor&sbquo; smoothness and manageability on your hair. These statements have not been evaluated by the Food and Drug Administration (FDA). These products are not meant to diagnoseÃ¢ÂÂ treat or cure any disease or medical condition. Please consult your doctor before starting any exercise or Nutritional supplement program or before using these or any product during pregnancy or if you have a serious medical condition. Giovanni Cosmetics Skin Care - Relax Sanitizing Towelettes (Lavender. Relax Sanitizing Towelettes Towelettes from Giovanni&reg; Cosmetics may come in handy for refreshing and wiping your skin clean. You may use these sanitizing towelettes anywhere; they are travel friendly. These towelettes from Giovanni&reg; Cosmetics are dipped in lavender essential oil that may soothe your senses&sbquo; and it will help you after a long&sbquo; tiring day. The wet wipes may work as an instant hand sanitizer too. Benzalkonium chloride&sbquo; the active ingredient in these wipes&sbquo; may function as a strong anti-microbial agent and kill germs instantly. Unlike other wet wipes which could dry out your skin&sbquo; these sanitizing towelettes may help keep your skin hydrated and moisturized. Aloe vera and jojoba oil may keep the skin hydrated. Thanks to the vitamin E extract&sbquo; it may leave your skin feeling nourished and supple after use. Use Relax Sanitizing Towelettes Towelettes from Giovanni&reg; Cosmetics whenever you want to freshen up on-the-go. These statements have not been evaluated by the Food and Drug Administration (FDA). These Products are not meant to diagnoseÃ¢ÂÂ treat or cure any disease or medical condition. Please consult your doctor before starting any exercise or nutritional supplement program or before using these or any product during pregnancy or if you have a serious medical condition.